Broadcast Pix will showcase several products during InfoComm 09, which runs June 17-19 in Orlando, Fla. (Booth 4673). New to the show are the 3G Switcher Frame, which is an upgrade for its Slate G Series of live video production systems, plus Fluent™ workflow software, a traditional control panel for Slate 100 users, and a portable production unit that harnesses the power of Broadcast Pix. The new 3G Switcher Frame creates the industry’s first 3G integrated production system and helps future-proof Broadcast Pix systems with the emerging 1080p standard already found in TV sets, routers, monitors, computers, projectors, and many emerging cameras. It is native 3Gbps 1080p/60 and provides simultaneous multi-definition SDI I/O for 1080p, 1080i, 720p and standard definition, as well as DVI. 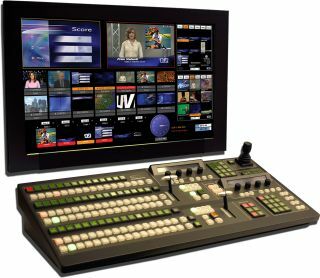 Plus, it handles format and aspect ratio conversion, DVE picture-in-picture, and graphics internally with an unprecedented constant delay of 33ms (patent pending), making the 3G Switcher Frame upgrade ideal for the most demanding live events, as well as television, Internet and Blu-ray productions.